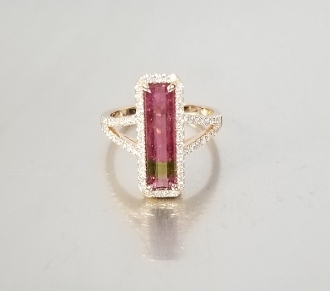 This emerald cut watermelon tourmaline ring is set in solid 14 karat rose gold with white diamonds. Total weight of the Watermelon Tourmaline is 1.8ct. Total diamond weight is 0.37ct.